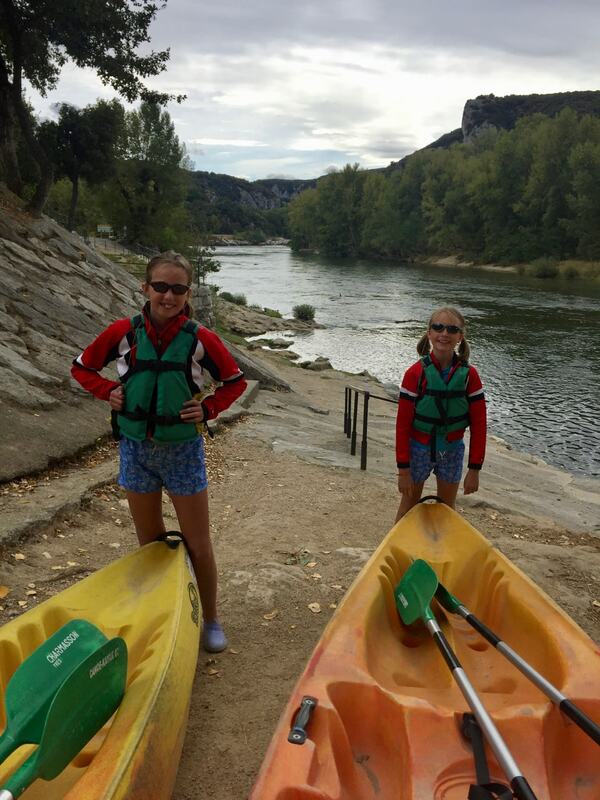 Have you seen the spectacular Gorges de l’Ardèche? 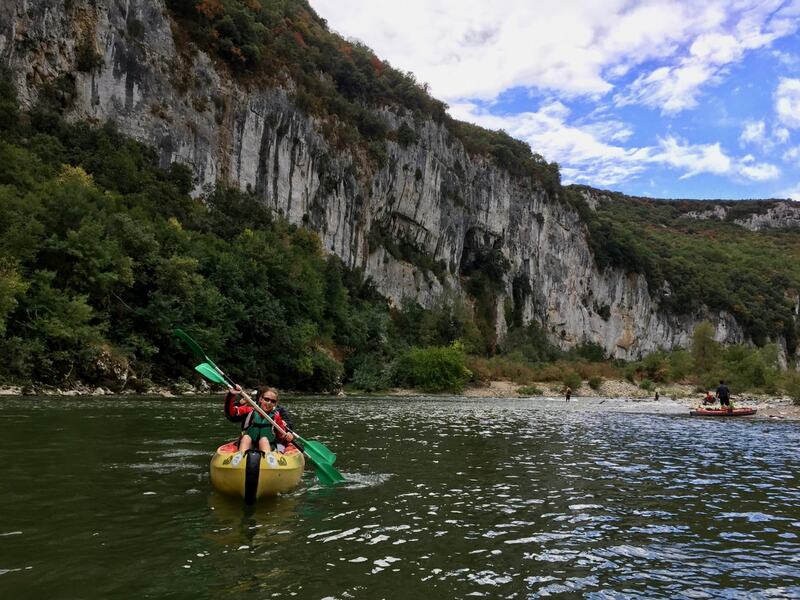 A protected natural reserve only reachable by canoe or by hiking, it gives you the chance to kayak under the impressive 60m high Pont d’Arc. 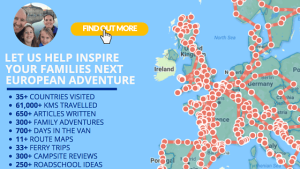 Surely the perfect place to add to our kayaking adventures across Europe. Let’s find out! 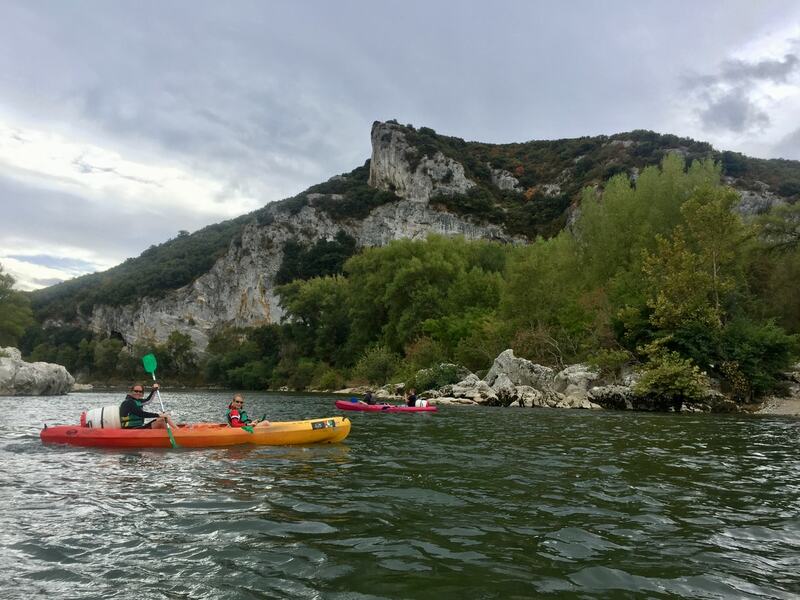 It’s hard to narrow down our top five or even ten favourite watersports adventures on our European Roadtrip, but an opportunity to head out kayaking always seems to send everyone in the van into a frenzy of excitement. 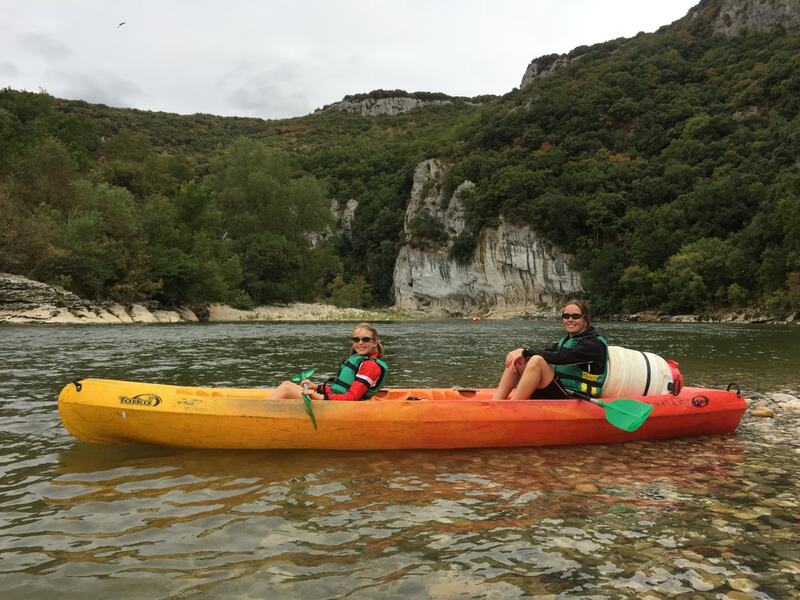 ​And as we’ve been fortunate to experience sea kayaking in Dubrovnik, fjord kayaking in Norway or river rafting/kayaking in Croatia…. just how would the Ardéche fare against such amazing opportunities? 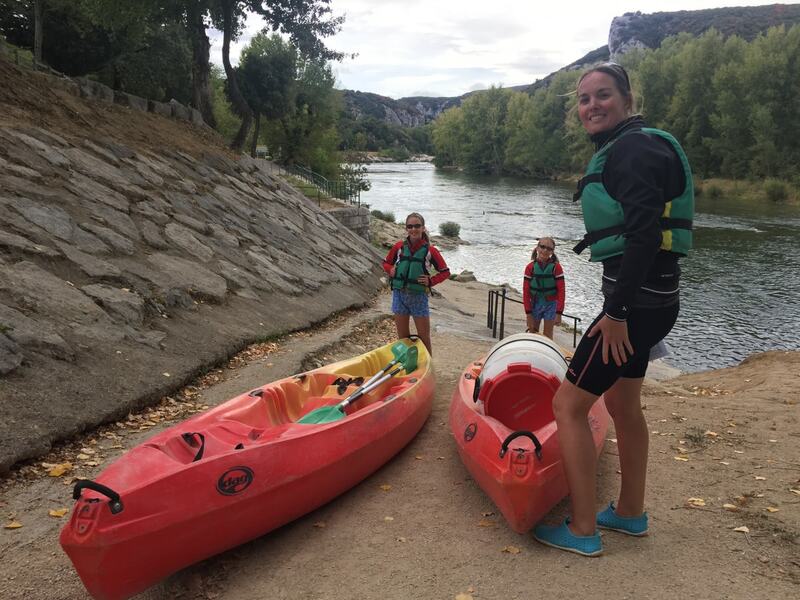 So having been told that in hot weather you will often find brave souls leaping from the famous Pont d’Arc into the Ardèche in the stunning Auvergne-Rhône-Alpes region of south-central France…. 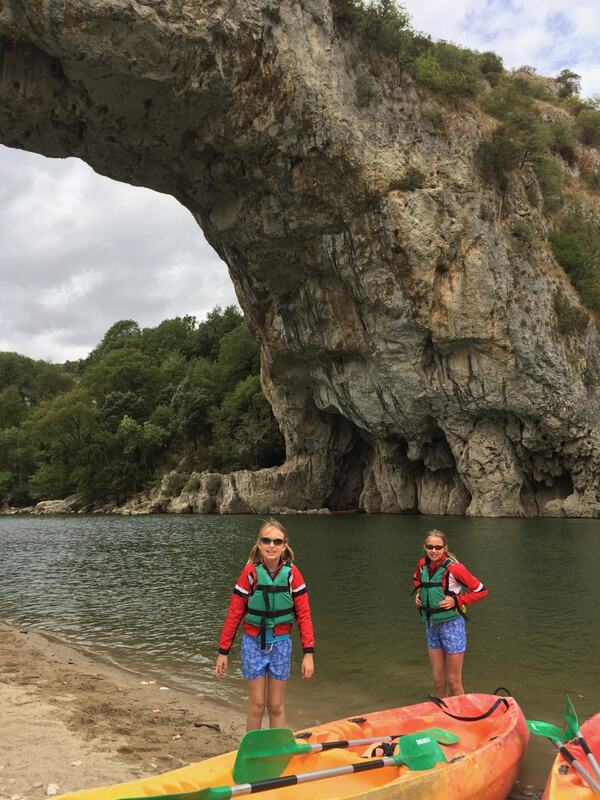 we thought we’d opt for the easy 7km (3hr including break) stretch from Vallon-Pont-d’Arc to just past the famous arch. But for those with more time on their hands, then the 25km stretch of river just afterwards is supposed to be an outstanding stretch of natural beauty. (5hr but allow 7hrs). 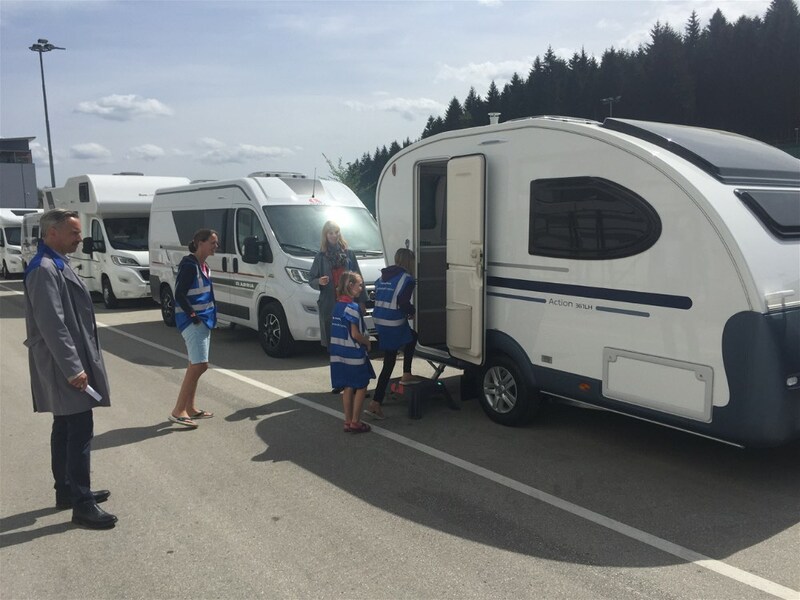 Prices vary but if you work on the basis that the shorter trips cost 20 euros, you won’t go far wrong. 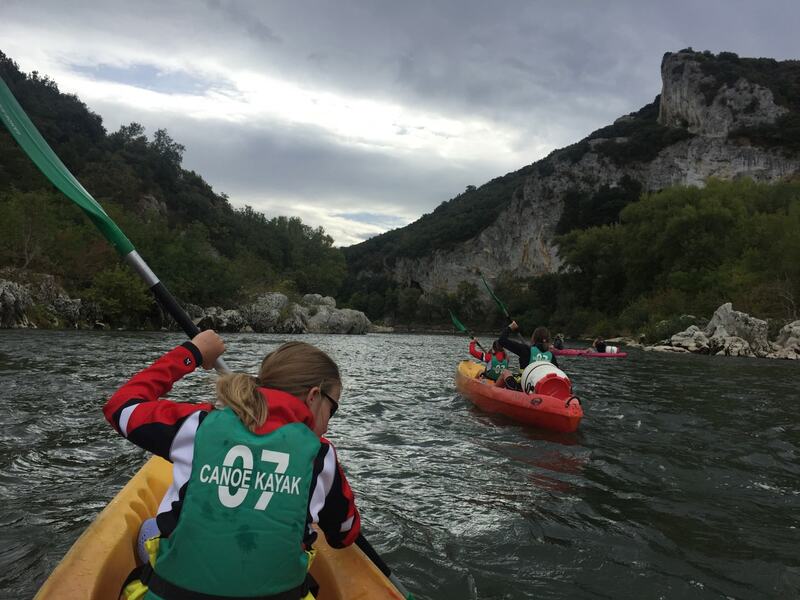 All parts of the river are easily access via the sizeable array of kayaking companies in Vallon-Pont-d’Arc, but as we were staying at Camping Nature Parc L’Ardèchois, we literally had to walk 50m from our pitch to the kayaking gangway (see more here) that forms part of the campsite. 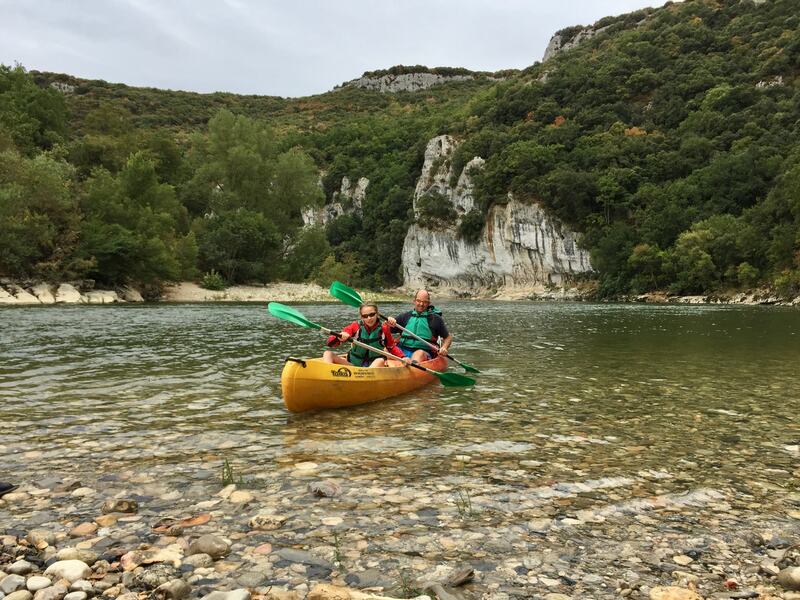 Located close to Chauvet–Pont d’Arc Cave, the Pont d’Arc is as impressive a UNESCO World Heritage Site as we’ve seen on our trip (and it’s included a fair few now including Dubrovnik, Segovia, Geirangerfjord or the Alhambra) and it makes for an impressive centre-piece to the kayaking trip. 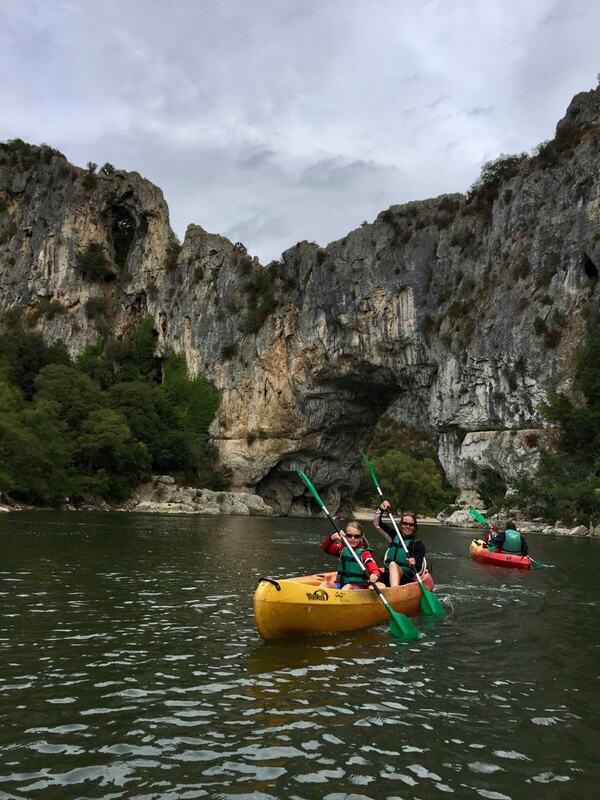 The arch, formed when the Ardèche River broke through a narrow escarpment between its meander, and is 59 metres (194 ft) wide and 34 m (112 ft) high at the top of the opening. 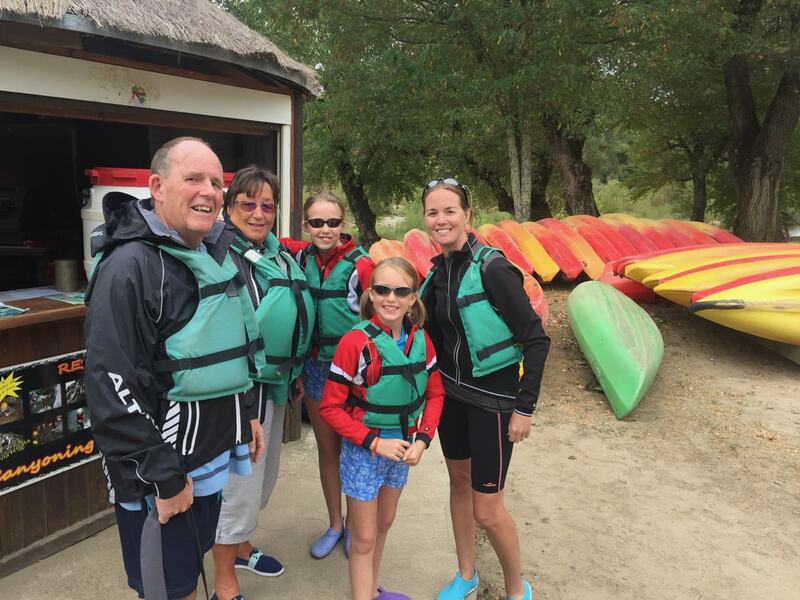 As we’ve taken the grandparents on another whistle stop tour of Europe (after last year’s ‘French Adventure’ – click here for more), this kayaking had to be possible for them and despite a few interesting moments in the rapids it proved a real success… the right blend of interest for the younger girls and at a pace and challenge that suited the grandparents. 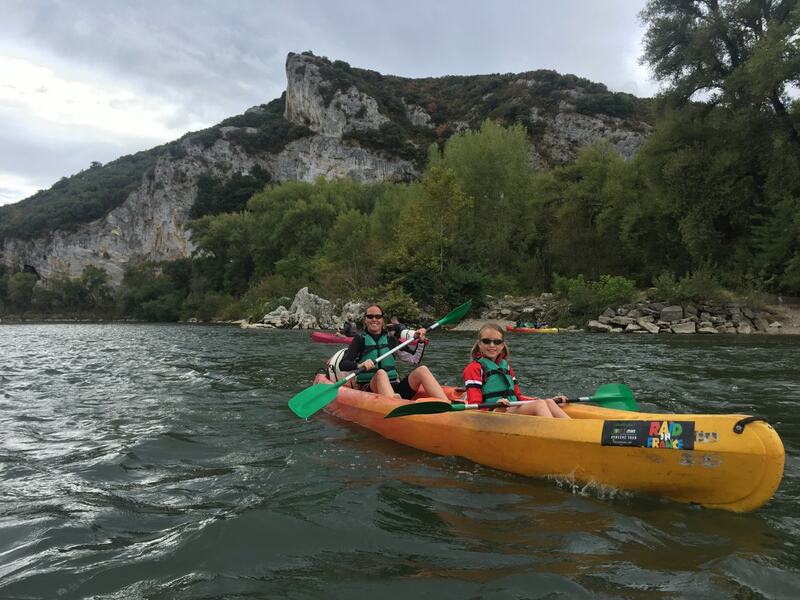 For that reason alone, we simply can’t ignore its claim to make it into our Top 5 European Family Kayaking Adventures!